​Anthony Martial wants to achieve 'great things' at Manchester United after committing his future to the club, and believes that teammate Paul Pogba will be crucial to that ambition. Martial signed a new five-and-a-half year contract at Old Trafford last week and is hoping to play a key part in the coming years as United aim to get back to the pinnacle of English football. 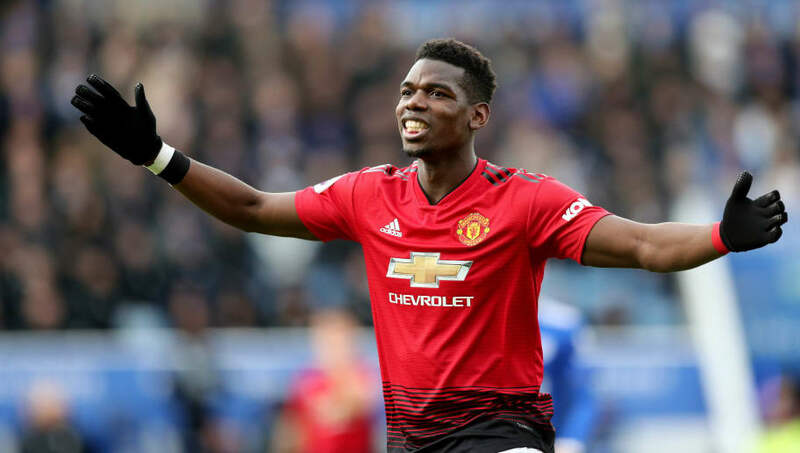 His international compatriot ​Pogba has been one of ​United's star performers since Ole Gunnar Solskjaer replaced Jose Mourinho in December, with six goals and five assists in the Premier League, and ​Martial says he will be pivotal to United's silverware chances. "We all know what quality Paul possesses - Paul is Paul," Martial told ​Sky Sports News. "Now he has got this freedom to play with, I think we are beginning to see the real Paul Pogba play and let's hope it continues. United were 11 points adrift of the top four when Mourinho was sacked, but seven wins in eight Premier League matches under Solskjaer has seen that gap closed to just two points. "I don't think we are very far off the top four now so it is just a case of keeping going, winning as many games as we can so we can ensure a place in those Champions League spots at the end of the season," added Martial. United travel to Fulham this weekend seeking the win which could see them leapfrog Chelsea, who face leaders Manchester City, into fourth place.